To get the MOST out of life.. you need to get the MOST out of your food! Over the last couple of months I have spent a lot of time reading about nutrition, including reading the amazing Eat. Nourish. Glow by Amelia Freer which has introduced the powers of juicing to me. Any excuse to buy a kitchen gadget I treated myself to the Nutribullet Pro. 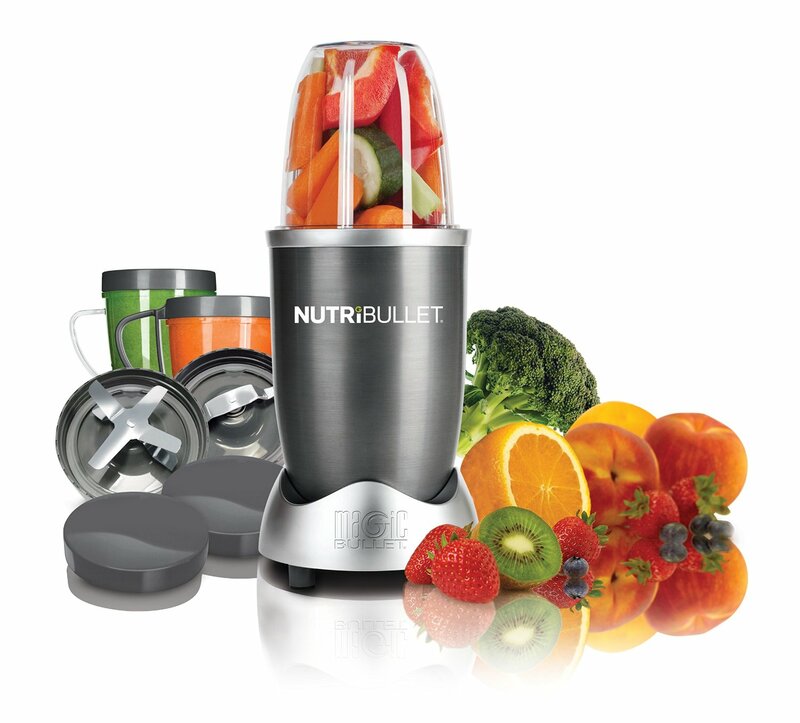 Even bigger and better, the Nutribullet 900 Series Superfood nutrition extractor came equipped with a powerful high-torque power base and 900 watt motor for a smoother consistency. It also included a high torque power base, 2x extractor blades, an oversized cup, 2x tall cups, a short cup, handled and regular lip rings, flip top lid, 2x resealable lids, user manual, recipe books and a nutritionist book. So easy to use and even easier to clean (well apart from when the hubby use’s it and doesn’t put the lid on properly 😦 ) I have now been using the Nutribullet for over a month and love the varied juices that you can make. I even make soups! Add 1/8 to 1/4 cup nuts/seeds if desired. Twist on the Nutribullet blade and blend until smooth. I have started to collate all my favourite combinations and will share these recipes!